Karneval mit Jowita Sip "Let your ears ring 13!" KARNEVAL! Between Verdi Lehar and Liszt! 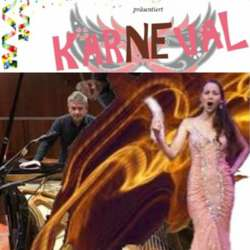 "Karneval" is the Motto this time! Jowita will sing again for us. it is free choice of places. artists; you will give it happily!